To paint, or not to paint? That is the question... that many home improvement novices ask themselves about their woodwork. Although painting woodwork is entirely a personal choice, some experts recommend leaving it be if its in good shape. 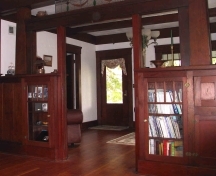 They believe it adds character and richness to a home that cant be accomplished by putting on a few coats of paint. Real estate agents and home stagers, on the other hand, urge homeowners to paint trim and other woodwork white because in their opinion, most woodwork gives a home a dark and gloomy, outdated feel (which is a big turn off for potential buyers). These arent the only reasons why painting woodwork can be the bane of every homeowners existence, however. This home improvement job can often be downright difficult, especially for beginners. All too many homeowners have found out the hard way that painting woodwork may lead to some unattractive, if not disastrous, results. Without the right preparation, materials, and equipment, this painting project could yield a splotchy or streaky finish, and it may take quite a bit more than a few coats of paint to get a good result. Fortunately, weve put together a list of some basic dos and don'ts of painting woodwork, so you can spend less time working on your home, and more time enjoying it! If the existing woodwork finish is flaking, peeling or blistering, you will need to remove all loose bits before you can start painting. Although it takes a little extra time and work, this process can save you a lot of frustration down the road. A layer of paint applied to an old loose, peeling finish forms a poor adhesive chain, and as soon as the weakest link in this chain fails, the new coat of paint will peel away right with the underlying finish. For major peeling, use a paint scraper. 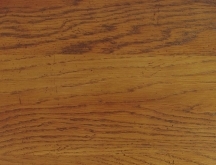 A sander can also be used on flat surfaces, but you will most likely need to use individual pieces of sand paper to get into the cracks and crevices of the woodwork. For minor flaking, start with a coarser sand paper, like 100 grit, and sand in the direction of the wood grain. When the majority of the loose polyurethane or varnish has been removed, you can then feather out the edges with a less coarse sand paper, like 120 through 180 grit, until the edges are smooth. When scraping and sanding an old finish, always make sure you wear eye protection and a mouth mask - the dust can be very irritating to the eyes and lungs. If your woodwork is in relatively good condition, meaning that the polyurethane or varnish isnt flaking or peeling, you may just want to leave it alone. This can save you a load of time and muscle aches, as most paint will usually stick to this type of surface just fine. Plus, sanding in this case will only "reactivate" tannin in the woodwork and cause the pigments to bleed through your paint much more than without sanding. So don't fix what ain't broken. This is perhaps one of the most overlooked steps when painting woodwork. 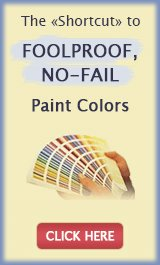 Contrary to popular belief, paint is NOT a wood filler, nor should it be used as one. 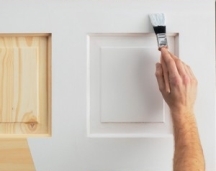 Instead of slapping some extra paint in those holes, gouges, and gaps and hoping for the best, you may as well take the time to do it right and use wood filler or caulk instead. Small holes, such as the ones made by finishing nails, as well as gouges, should be filled in with wood filler and smoothed over. After the filler has dried, you should then use sandpaper to smooth the top and edges. Gaps, such as those between the woodwork and the wall, should be filled in with paintable silicone caulk. 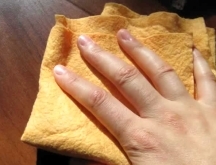 You can then use your finger wrapped in a wet paper towel to work it into the gap and smooth it out before it dries. After youve sanded and filled in all of the holes and gaps, youll most likely have a surface covered with dust and other debris. Painting over this can result in many different noticeable imperfections in the finished product, and negatively affect the adhesive chain mentioned earlier. 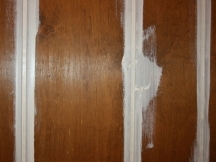 To avoid this, wipe away any dust before you start painting woodwork. You dont really have to do anything fancy in most cases. Just use a lint free wet cloth, and wipe the wood down in the direction of the grain. If you hit a greasy spot, use a household cleaner. 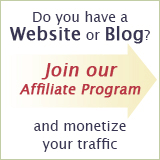 This may seem like a no-brainer, but you would probably be amazed at how many people actually forgo this step. Before you start your painting project, pick up a few rolls of blue painters tape from a home improvement store. Apply it to any surfaces that you dont want to get paint on, like the wall next to your wood trim. This will save you a lot of time later on cleaning up and touching up when you accidentally get some paint on the wall  and you will, no matter how talented you think you are. 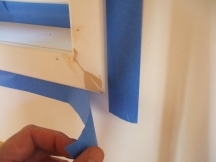 Instead of wasting time trying to tape off or paint around any hardware on your woodwork, simply remove it. This can include things like door handles, knobs, hinges, and strike plates. Removing these objects and putting them back on is typically much simpler and quicker than trying to tape them off or painting around them. And it's definitely easier than scraping off dried paint. Whether you are painting bare woodwork or previously stained and finished wood, primer is very important. Not using primer will usually lead to one of three things. Second, the paint can absorb unevenly into the wood, causing a streaky look. In this case, you will usually need to apply several coats for the paint to cover properly. And third, the tannin pigments will seep through the new coat of paint and ruin everything. To get rid of those ugly stains from your freshly painted trim, you'll have to put on a coat of blocking primer on the stains and then apply another coat of paint on top of that. So don't skip the priming step - a good quality primer will help you avoid these problems. It will also create a "healthy" barrier between the wood and the paint, which makes it easier for the paint to stick and dry properly. The proper brush can make all the difference when painting woodwork. You should typically spend as much as you can afford on a paintbrush, since a quality paintbrush is often an investment. It will last for years, as long as you take proper care of it. As a general rule of thumb, acrylic/latex paint should be applied with a brush with synthetic bristles, and oil based/alkyd paint should be applied with a natural bristle brush. The ends of the bristles should also be flagged, or split. 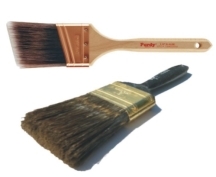 This allows the bristles to hold more paint, and it also results in fewer visible brush marks in the paint finish. Contributed by Christina Edwards - a home improvement enthusiast and writer. 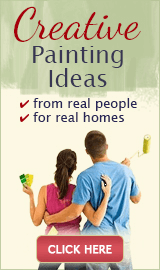 Painting Woodwork in Your Home?